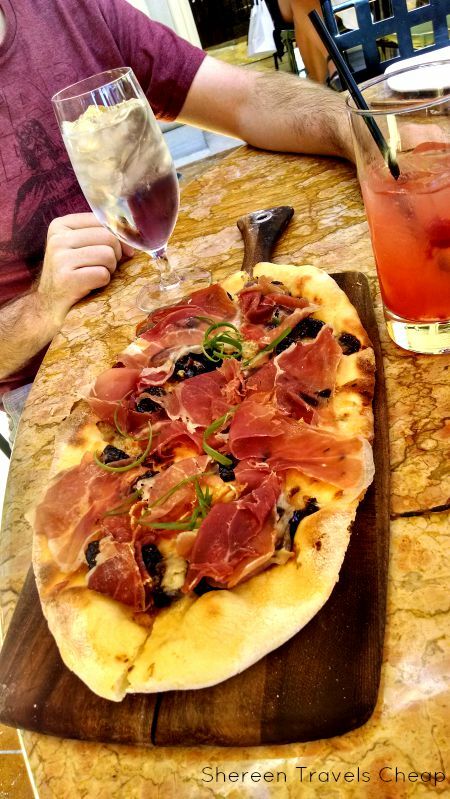 One of my favorite things to do in Vegas is to eat. What used to be tons of mediocre buffets has now turned into a haven for haute cuisine and delicious eats, though some of the buffets have amped it up to serve higher quality items that have you drooling long after you've paid your bill. We tend to visit Vegas once a year and try as many new places to eat as possible. Some are big hits, some are huge misses, but the pictures (and memories) remain until the next time we hit Sin City. I've been to a lot of buffets, but the best and by far the most beautiful is the Wicked Spoon at the Cosmopolitan. It's the best brunch I may have ever eaten. 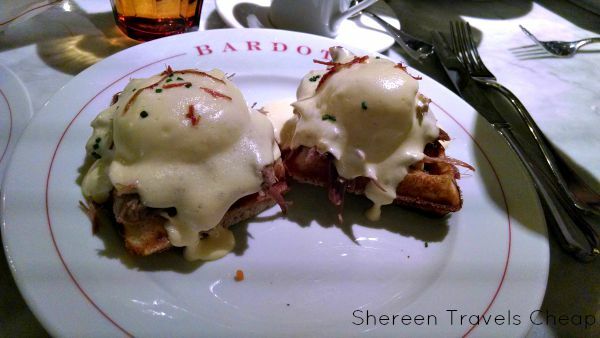 Bardot at the Aria has the most delicious things on their menu, including this duck and waffle benedict. I could eat this everyday and be a happy camper. Do you think I love waffles? Of course I do, which is why I don't own a waffle iron at home. 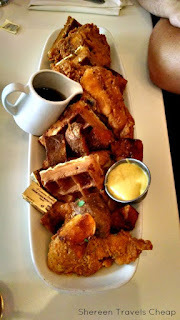 At Serendipity 3 we split a plate of chicken and waffles (that you can see are huge) in order to have room for one of their famous sundaes. Eric and I shared the entree and the four of us at the table demolished a fried Snickers ice cream sundae. I didn't get a before, but there's the after. We couldn't even finish it. There are lots of times I'm just in the mood for fish. For seafood (and other stuff) served with island flair, check out Kahunaville at the Treasure Island. 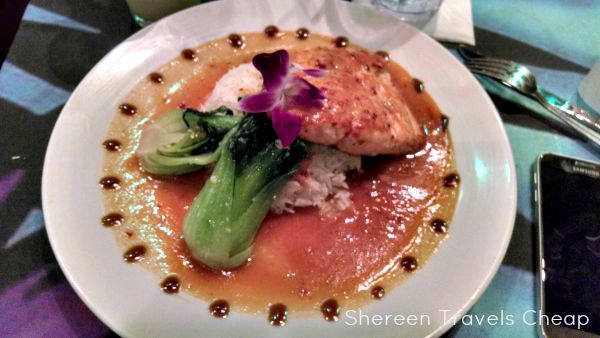 This salmon dish may not have been the best dish ever, but it was certainly amongst the prettiest. I'd love to go back for the dinner show. You're not always up for a whole big meal. It's times like those where a trip to Todd English's P.U.B. 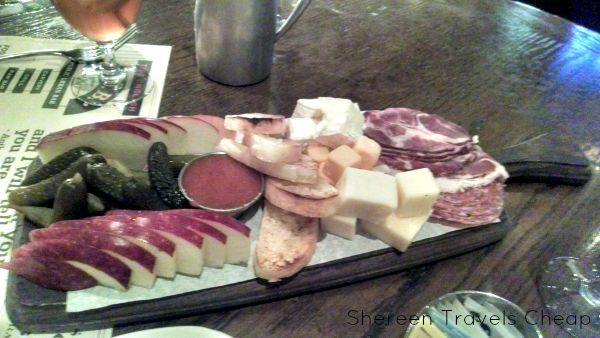 for the charcuterie platter can satisfy. Why don't all plates come with tiny pickled veggies? Why!? Okay, so maybe you've heard that the East Coast phenomenon has made a home in Vegas. 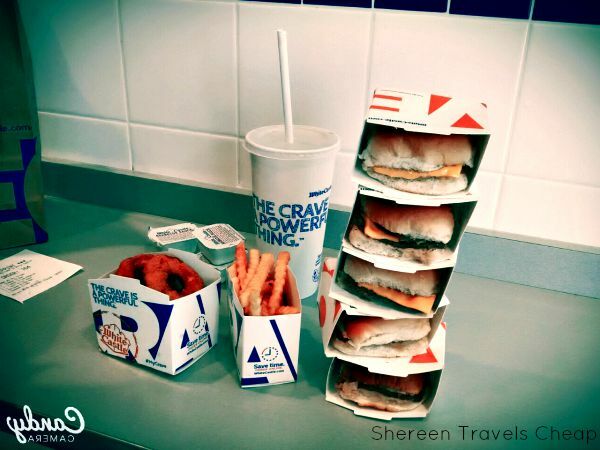 White Castle isn't really a must-eat when you're in town, but it does make for an iconic picture. You can eat for cheaper and be more satisfied by a meal at plenty of other burger joints. 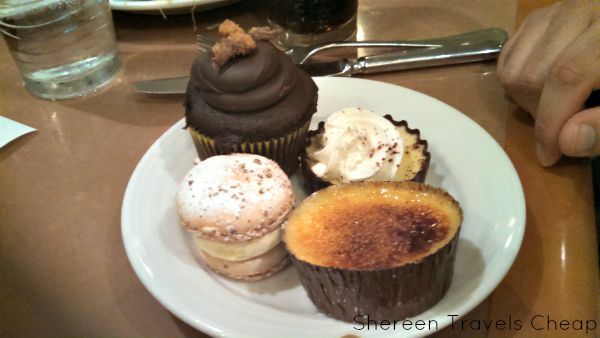 You won't catch me taking a trip to Las Vegas without planning a visit to Cafe St. Louis at the Paris. I love the atmosphere, because you feel like you're sitting at an outdoor cafe on an evening in Paris, and the food is always scrumptious. I wish so hard that Pura Vida wasn't out of business, as it was one of the best vegan restaurants I've ever been to. Unfortunately, I think that had they served half the food at 2/3 the price and been open to substitutions or omissions, they may have survived. Meals took a good 40 minutes to arrive at your table, but they were all freshly made and amazing. 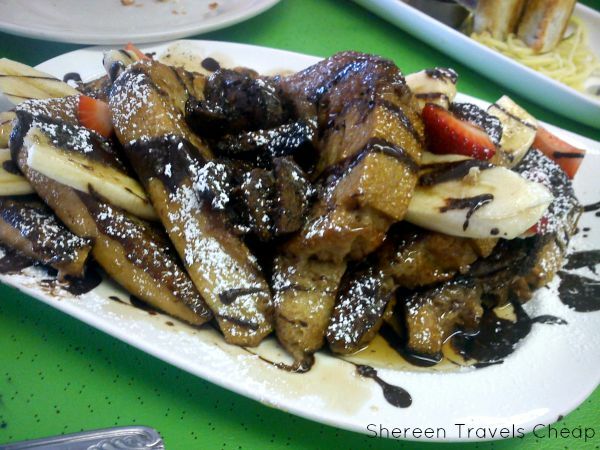 I couldn't even eat half this plate of French toast with strawberries, bananas and vegan sausage. Want all the desserts in the world? 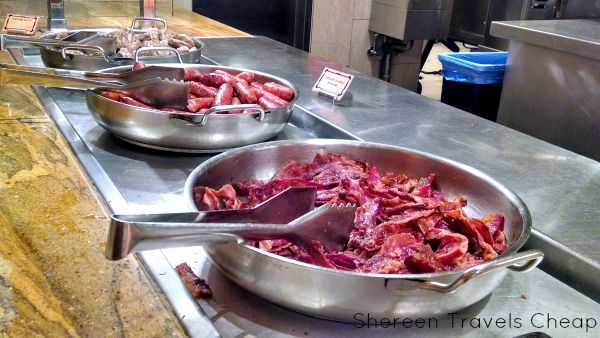 The Spice Market Buffet at Planet Hollywood has some of everything you've ever heard of. 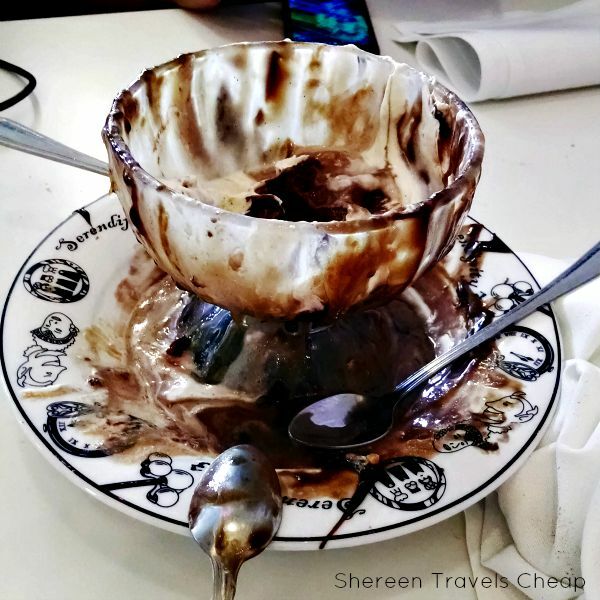 This was just Eric's plate of sweet endings. I got four of my own choices. 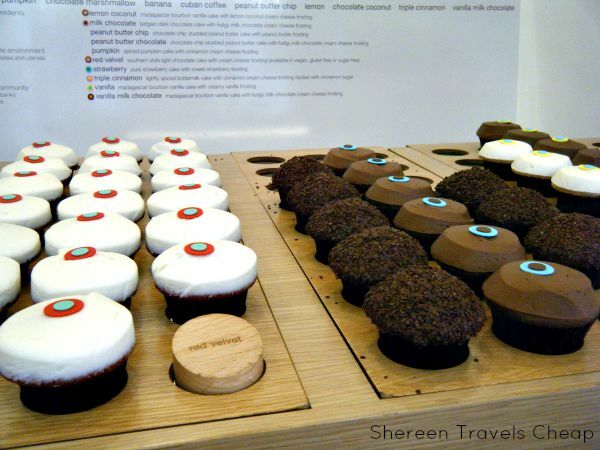 If the only dessert you're interested in is the famous cupcakes from Sprinkles Cupcakes, then the outpost at the Linq Promenade has a vending machine and also a counter that serves a rotating variety of delicious cakes. I had the chocolate banana, but I felt that it could have done without all the frosting. You know how much I enjoy a good happy hour. 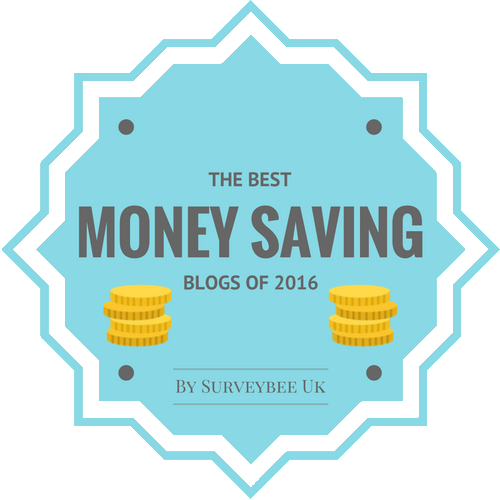 It's even better when it allows you to eat at a fancy dining establishment at a fraction of the price. 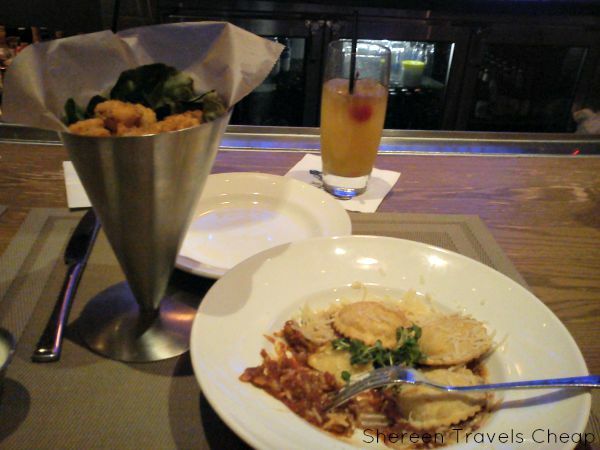 The happy hour at Emeril's Fish House at the MGM is one such place and the drink prices aren't too bad either. Here's the cone of popcorn shrimp and cheese ravioli. We enjoyed Todd English's P.U.B. so much that we dragged our friend to his other restaurant Olives at the Bellagio. They make wood fired pizzas and more with a fantastic view of the water where the fountains are and the Eiffel Tower. Some of the best food can't even be found in the casinos. 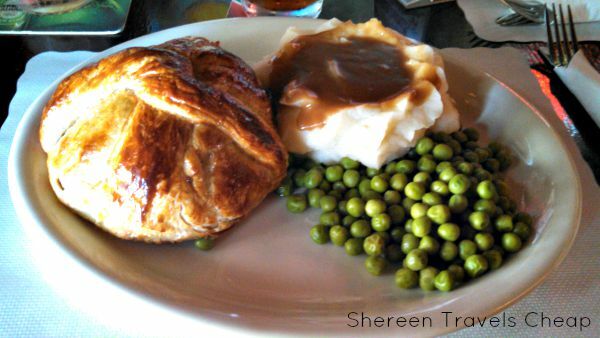 I live for good Brit fare and the Crown and Anchor on Tropicana does it right. You'll find a menu full of traditional eats and be pleasantly surprised when it gets to your table and it actually tastes awesome. When you're tired of The Strip, this is a good respite, plus you can get a good pint. I always love suggestions. 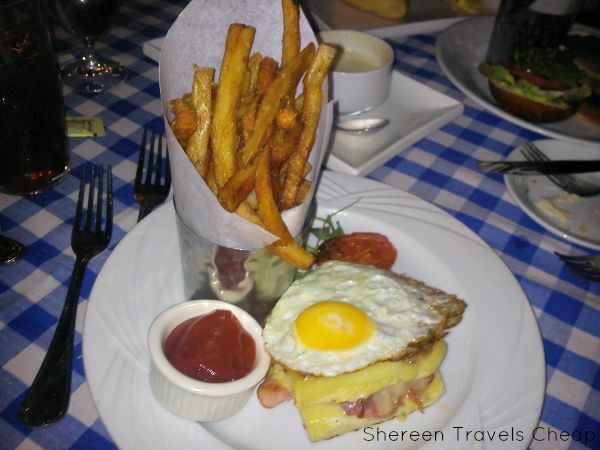 Where are your favorite places to eat in and around Las Vegas?